I've selected useful and must-have tools for CTF games and computer security competitions. Most of this tools are often indispensable during the games (especially task-based/jeopardy CTF games). 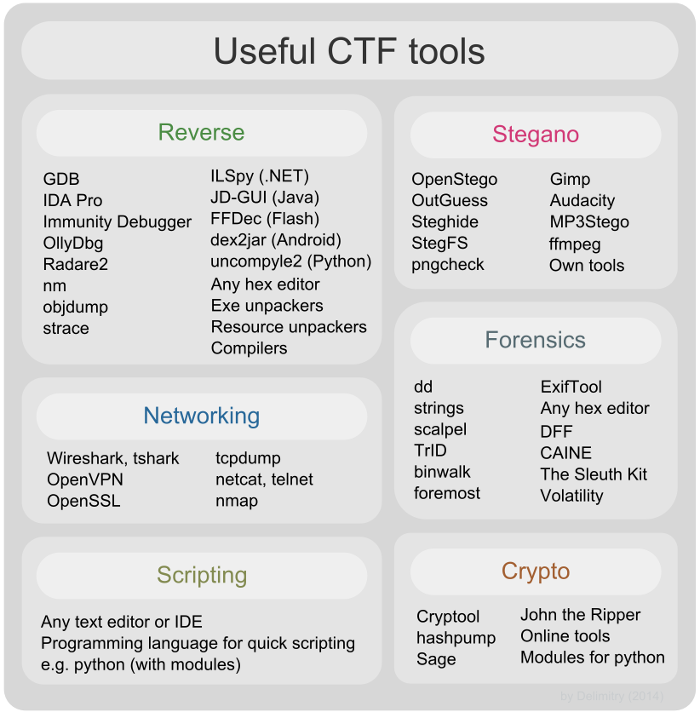 I've combined tools by categories just like in CTF games: Reverse, Steganography, Networking, Forensics, Cryptography, Scripting. Most of tools are cross-platform, but some of them are only for Windows or Linux. 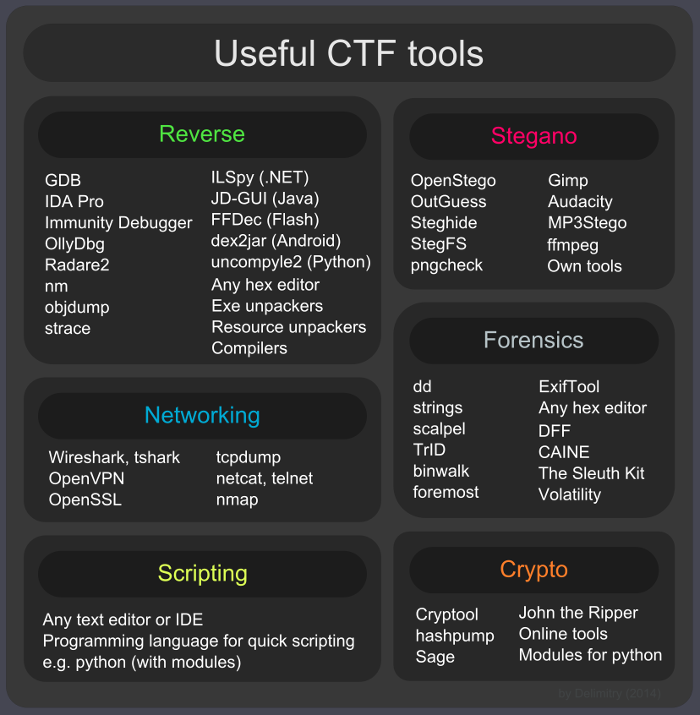 This is the first version of useful CTF tools cheat sheets. I'm planning to update them with new useful tools. Hope you don't mind me copying and pasting this on my site also. Really good useful tools that you provided. I have only really used a small portion of it but I do see the value in all that was posted. The only one I will probably add for forensics is maybe PDFParonoia...have used it to analyzed pdf's although I know volatility will probably provide more value. Sure, I don't mind! Thank you! Oh, thank you, I've used it once.